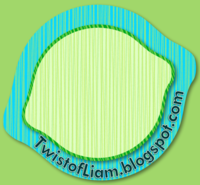 Teaching with a Twist of Liam: Clutter-Free Classroom Week #3: Cover me... I'm going in! Clutter-Free Classroom Week #3: Cover me... I'm going in! This is it. Tomorrow morning I'm heading in to my classroom after a month and a half hiatus! To say I'm excited to clean up my act is a bit of an understatement. Anyone who has been patiently following my blog (waiting for SOMETHING ANYTHING to happen) will attest to my eagerness to get this party started. Alas, the time hath come! Doing my best to keep up with the Clutter-Free Classroom Project, I've spent the evening watching Piha Rescue, Criminal Minds, and Minority Report, all while typing, printing, laminating, and cutting away, making up "stuff" in anticipation for D(e-clutter)-Day. I've got agenda cards made up, I've got out of class passes ready, book box labels prepped, and heaps of stuff just waiting for me to get in to the school so I can use, abuse, and extort my colour printing priveledges! 1. take better pictures so I can gloat about how messy my classroom is. 2. Turn on iTunes to get the groove going. 4. Lay out boxes for "free-to-a-good-home" stuff and bags for "no-one-in-their-right-mind-would-want-this" things. 6. Tackle shelves, one by one, wiping, purging, and kissing goodbye. 7. Itemise everything that (miraculously) makes the cut and survives my 10 rules. 8. Wonder how the heck I am going to put everything away before I have to leave. 9. Haul my "winnings" outta sight. 10. Pat myself on the back for a job well done. 11. Take pictures to make myself feel good. Well, that's the plan anyways. We'll see how it goes. I can't wait to see your room transform. I fell in love with the look of the space when you posted the before pics and am so excited to see what it looks like in action. I saw your post title this morning on my blog list and just HAD to read it FIRST. It did not disappoint. Had me in stitches. Thanks for the laugh. Oh and it doesn't count that you are behind, you have not had a moment to get in your room. I have been in here and fell behind last week! I am going to make it up today though. I am going to work on my desk. I'm glad you enjoy reading along! I'll make you a deal: You make up for it today and I won't poke (too much) fun at you in my next post. I don't think I can handle a messy desk. I might just break out in hives, or have some sort of conniption. Clutter-Free Week #3: What have I gotten in to??? Clutter-Free in 2012? Don't mind if I do!